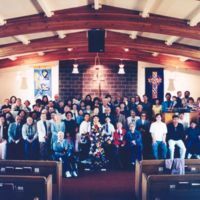 Easter Sunday service at Palm Methodist Church in Dinuba, California. 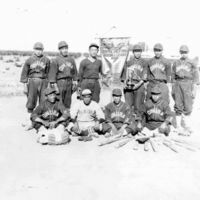 Dinuba championship baseball team of the Central California Baseball League in the early 1920s. 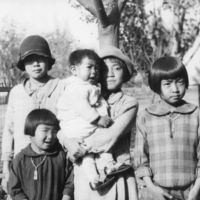 Members of the Abe family pictured are (left to right): Mary Aloe Sakaguchi, Mollie Fukuko Abe Osato, Franklin Kazuichi Abe, Lily Aloe Nagata, and Alice Abe Kurihara. 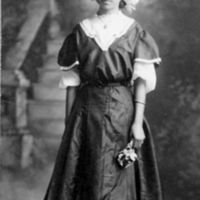 Jennie Ying Joe. She later married Bob Wong. 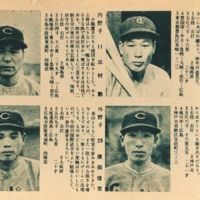 Professional Japanese baseball players pictured in a Japanese sports magazine from the 1950s. One player pictured operated a one-man submarine during World War II. 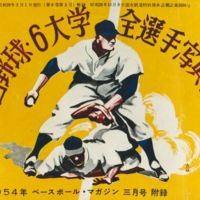 Cover of a Japanese sports magazine showing baseball players of 1954. 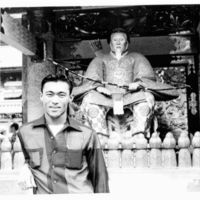 Ben Mitsuyoshi visited a shrine in Kyoto, Japan. 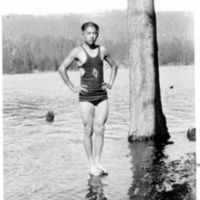 Ben played professional baseball for the Hiroshima Carps for eight years after the end of World War II. 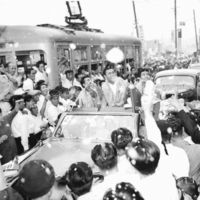 Ben Mitsuyoshi (center) and Harvey and Howard Zenemira are honored in a parade in Hiroshima, Japan. 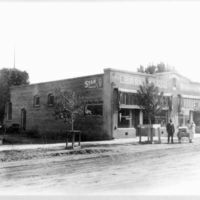 The three Tulare and Fresno County men played professional baseball for the Hiroshima Carps.